Maybe the Yankees should have stayed in “The House that Ruth Built” across the street? This, by all means, might be Ruth’s jinx on the Yankees moving to a new stadium. Maybe the Yankees should’ve kept the other “Joe” at the helm? The new “Joe” I give until the middle of the season, then he’s bye-bye. The Yankees were horrible yesterday as the Cleveland Indians sent the balls flying all over in a 22-4 all-out-blitz. I would hold my head down in disgust. With their star-talent and payroll, they better turn it around fast. Right now it’s not looking good. I’ve been here since 2005 and it has been great. From covering the first WBC to appearing on “Under the Lights” it has been the toast of the town. From the “Red Sox Chick” to my radio co-host Carl “The Cabbie” to “A” to “The Baseball Collector” it was, and still is, our little “Dead Poets Society.” I read “A’s” column this morning, who writes “Dispatches from Red Sox Teen Nation” soon to be just “Red Sox Nation,” about the memories. 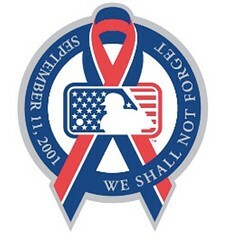 MLBlogs is the home of baseball, America’s Pastime, and the home of many. I started at MLBlogs to promote my book and, in turn, Baseball Talk radio was born, appearances on MLB Radio, writing assignments, interview for stories, etc. It didn’t hurt my career, but promote it. For that, I’m so grateful. I’ll be here until they take me out in a wheelchair. Mark, Captain-my-Captain, thank you!!!!! Until then, see you at the MLBlogs party!